Tesla's push to sell its all-electric vehicles in Utah hit another roadblock Monday when the state Supreme Court upheld a decision by Utah licensing officials to deny the automaker a license to sell new cars. Tesla had argued that a state law barring car manufacturers from owning dealerships didn't apply to the company. Tesla sells its cars directly to customers rather than using independent dealerships, something Tesla attorneys argued is vital to their business. Tesla must sell its own cars because a sale depends on convincing customers that electric cars are better than those with a gas engine. The company also argued that Utah law doesn't block car makers from selling directly_it only blocks car makers from owning a dealership that's set up as a franchise. In the decision Monday, Supreme Court justices didn't address whether Utah law blocks a car maker from selling its vehicles directly or whether it's vital for the car maker to sell its own product. The justices instead focused on a subsidiary company that Tesla set up to sell cars in the state, called Tesla UT. 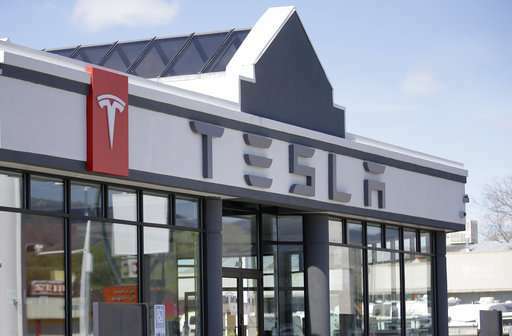 Tesla UT applied for an auto dealer license, and because Tesla UT is wholly owned by Tesla, state licensing officials were correct in a 2015 decision denying the license, the justices wrote. In a statement, Tesla said the ruling was "disappointing for Tesla and all Utah consumers interested in consumer choice, free markets, and sustainable energy." The company said it will pursue all options in Utah and will continue offering service in Utah for Tesla cars. The Utah Automobile Dealers Association has argued that Tesla is required by to comply with the franchise law, which is designed to keep large car makers like GM from pushing out independent dealers selling the same cars. Tesla has said that law protects a monopoly by locally powerful car dealerships and violates free-market economic policies in Utah's constitution. An effort to try to change the law earlier and accommodate Tesla failed in Utah's Legislature earlier last year after the company pulled its support, saying the fix wouldn't allow it to keep any inventory in the state. Unable to sell cars through its $3 million showroom in Salt Lake City, Tesla instead decided to take its fight to Utah's Supreme Court. The company has a used-car license for its Salt Lake City showroom, which allows people to test-drive and buy used cars but not new cars. The company has run into similar legal problems in other states.